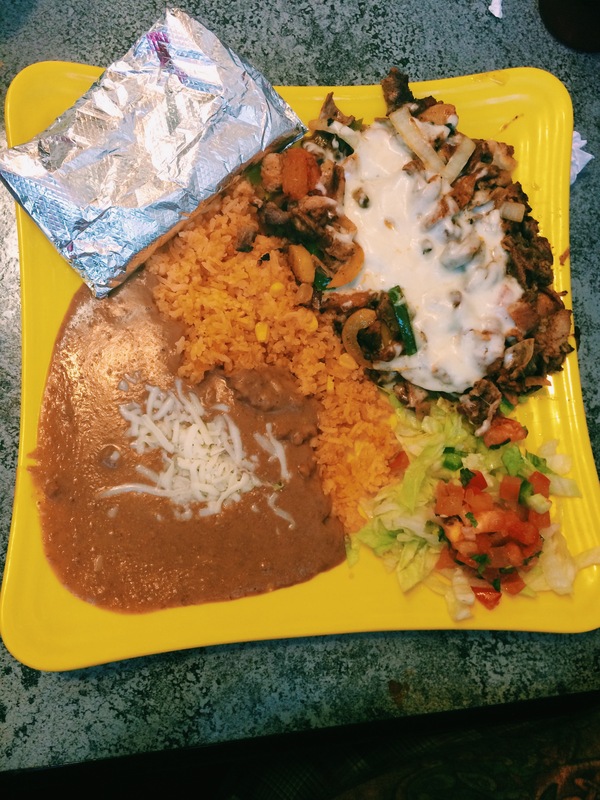 La Mexicana – Go There. Try That. I love Mexican food! However, like most of my favorite restaurants, I prefer smaller, local, and more authentic. This is very true when it comes to eating Mexican. 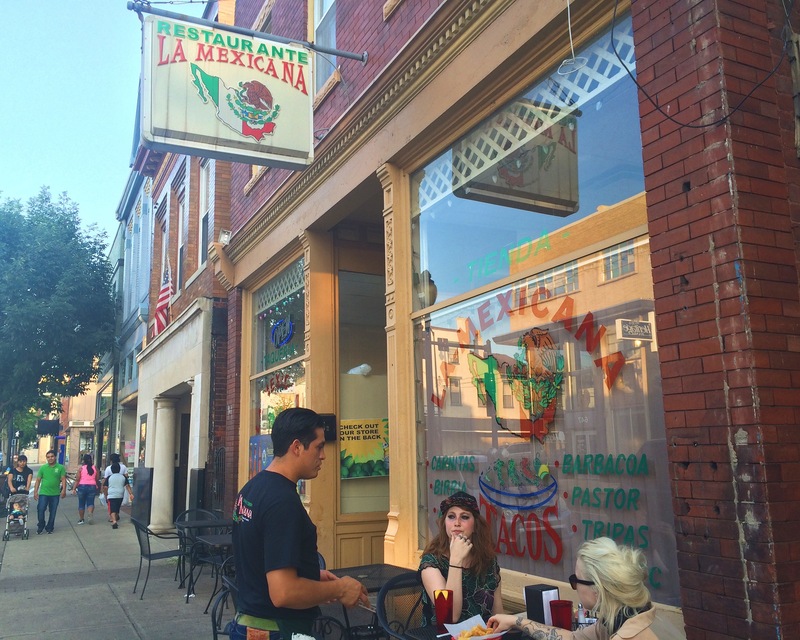 One of our favorite finds is La Mexicana on Monmouth St. in Newport, KY. The food here is fresh and flavorful! I’m certain the quality of food is due in part to one owner living in Spain for awhile and another, a DJ for a local Spanish radio station, being originally from Mexico City. Much of the food here is handcrafted in back. In fact, some of their sauces, salsa, and queso are sold to local bars and restaurants. This place, hands down, has my favorite chips and salsa. The salsa is fresh and the chips are perfectly crisp and crunchy. I’ve been to Mexican restaurants with the super thin tortilla chips, the oily tortilla chips, and the “I’m pretty sure these came from the grocery store” tortilla chips. When you go out for Mexican food, chips and salsa is part of the experience. 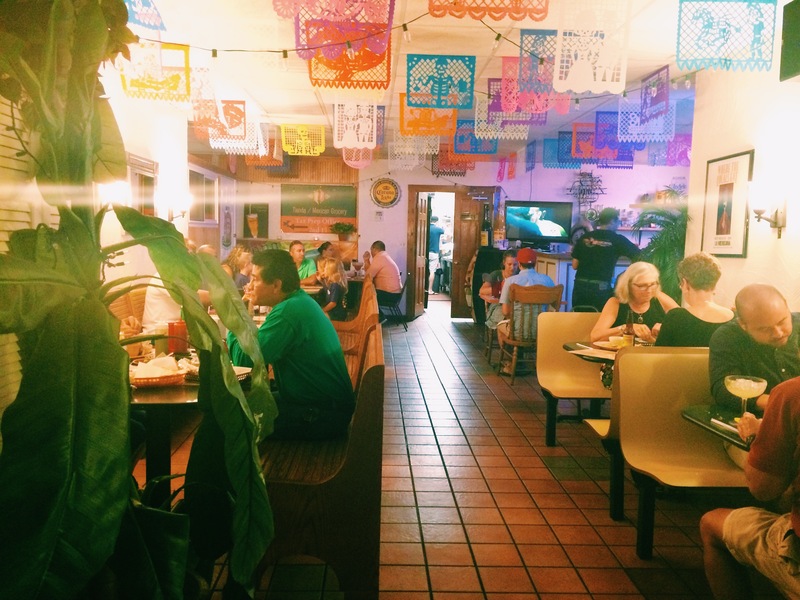 At La Mexicana, it’s the real deal. You know it’s good when everyone is talking in interrupted sentences and garbled words because it’s addictive… and you can’t stop… even though you should… because your meal will be coming soon…and you’ll be too full to eat it…but you will! Only downfall, there is a $1.99 charge for more than one basket of chips. Deciding what to order here is one hard task. Everything looks good and usually when I see someone else’s order come out I’m jealous and second-guessing myself. Luckily, as I’ve said in previous posts, I only eat out with people who share! It’s a real thing. On our most recent visit, between the four of us, we ended up with two Flag Burritos, one Lengua Taco, a bowl of Pozole, and Alambre. If you like a drink with your meal, I’m told the margaritas are good and that the Hefeweizen Immortal Beloved is a solid wheat beer! 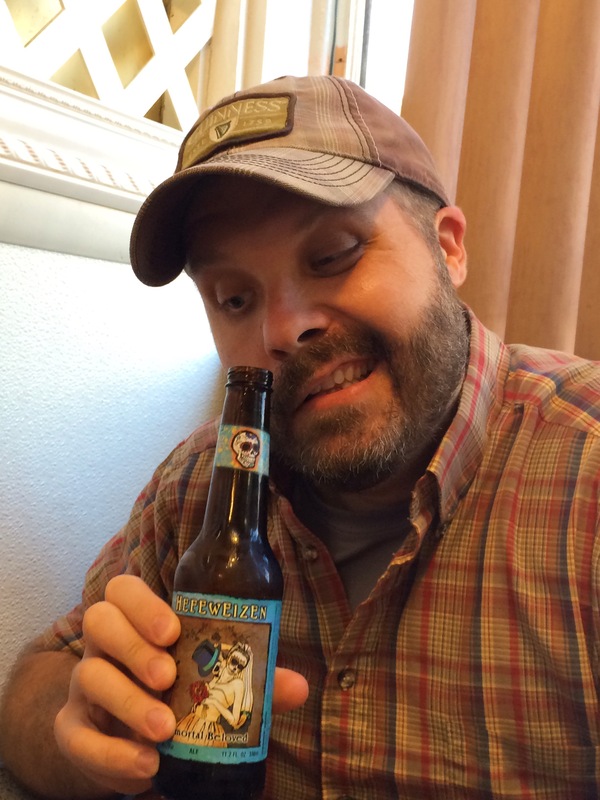 Why my friend Kenny looks like he’s picking his nose with the beer bottle, well, your guess is as good as mine!? I just thought the Day of the Dead bottle was cool. The burritos here are huge and filling! 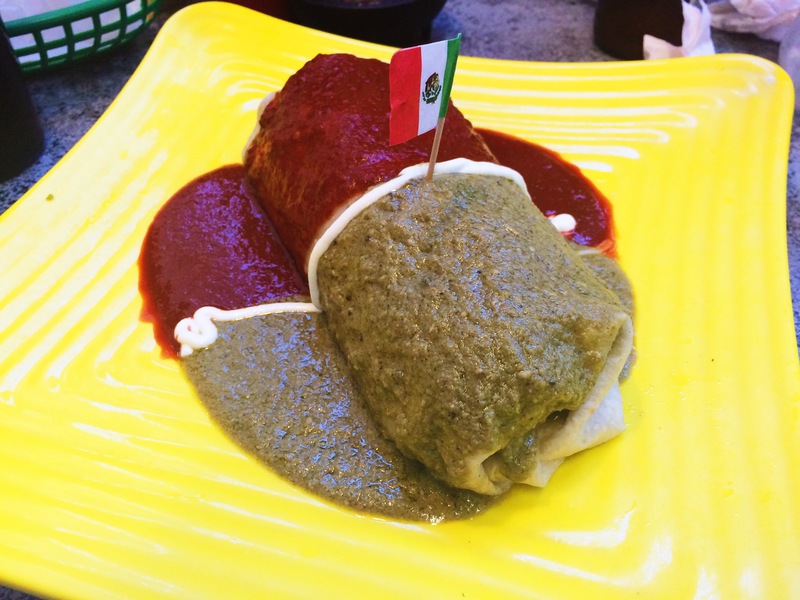 What’s enticing about the Flag Burrito in particular is that it’s served with both tomatillo and red sauce. 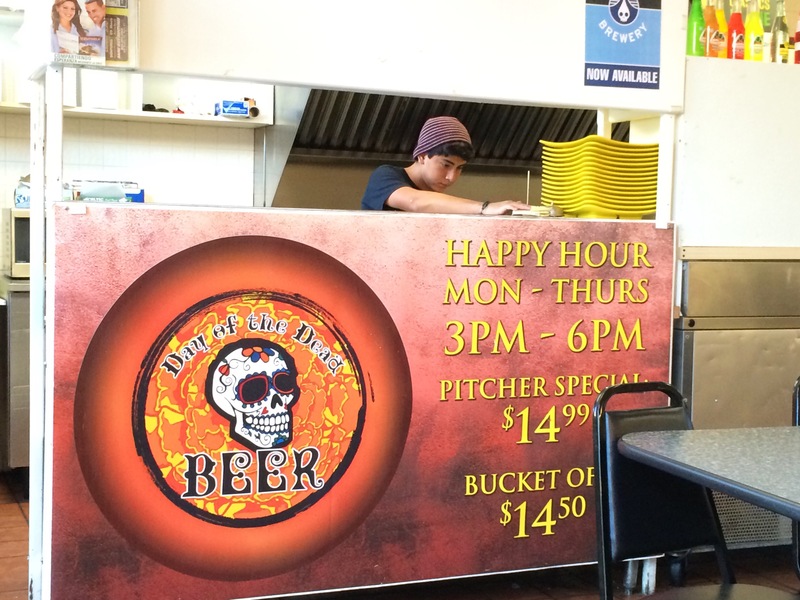 You also can choose between 15 different meat options– this is actually the case for the tacos as well. Love that! The meat choices range from the more familiar such as Barbacoa (seasoned steak), Chorizo (homemade Mexican pork sausage), and Pollo (chicken marinated in adobo sauce) to the more exotic such as Birria (seasoned goat meat in guajillo sauce), Sesos (marinated veal brains), and Tripa (seasoned beef tripe). I opted for the Al Pastor (seasoned pork shoulder) while my friend Korie went with the Carnitas (sauteed pork). Here’s where I’m going to totally be biased because although I liked both meat options, I completely preferred the Al Pastor. That pork was marinated to perfection and super super tender. Delicioso! We also disagreed on the sauces, which is the beauty of the flag burrito. Korie and Ed like the red sauce best; in fact, Ed thought it was the best red sauce he’s had since his childhood days in LA. I am huge fan of tomatillo and the flavor and heat in this green sauce hit the spot. It’s spicy! Another option, mix them both together! That’s good, too! During one visit to La Mexicana, we split a Flag Burrito and my husband ate the red side and I ate the green side. Perfecto! My husband was probably the most adventurous with his order. He ordered one Lengua taco. Lengua is beef tongue! I was actually surprised he ordered this because my parents have offered him homemade pickled cow tongue before (my grandma’s recipe) and adventuresome as he is, he declined. The meat itself was actually tender and had a nice flavor, but tongue, anyway you serve it, still has grooves and it’s a muscle; if you have any textural issues with food, this might be deal breaker. Ed also ordered this beautiful Pozole soup. 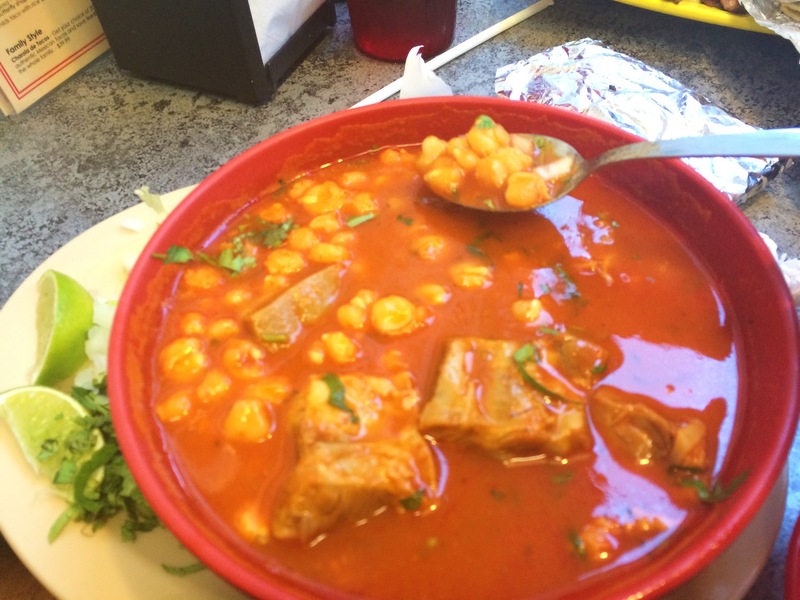 Pozole is a homemade stew with pork ribs on the bone and hominy corn in a tomato base. Just before you eat it, top with onion and fresh lime juice. Oh man. I don’t know the roots of this soup, but it’s comforting and warming and savory. Buyer beware, you do have to pick the meat off the bone; however, it’s so tender it just falls right off. Bring quarters because when you dine at La Mexicana you will park on the street and depending on the time of day, you will need to feed the meter. The food is incredible and while the front room is small, the back room is bigger and brighter! I’m usually too full to order dessert, but I’m curious. One day I will save room. They serve Flan, of course, and Tres Leches. There’s also a small freezer cabinet by the checkout counter that contains Mexican popsicles and other treats like chocolate covered bananas. I did walk out with one of those bananas last time. Couldn’t resist. It’s fruit, right?! 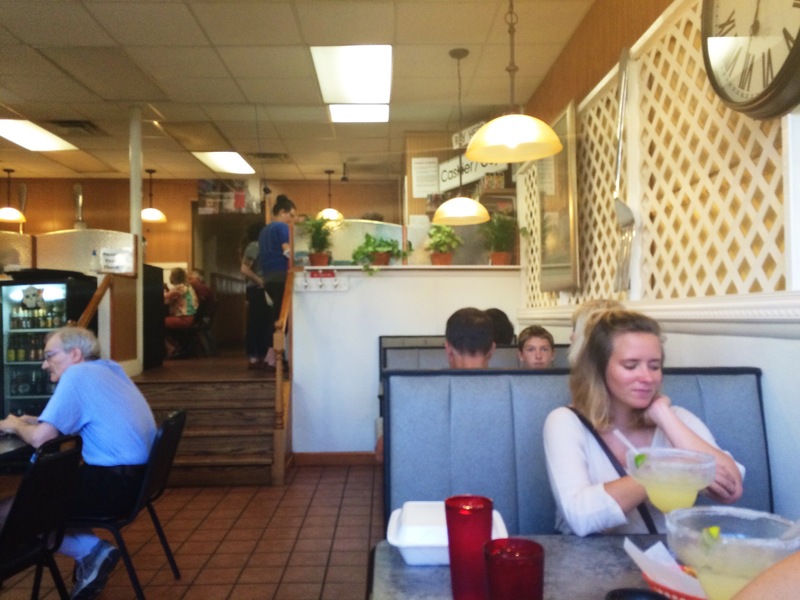 GO THERE (La Mexicana in Newport, KY)! TRY THAT (Chips and Salsa, Flag Burrito, Pozole)! Go New Orleans! 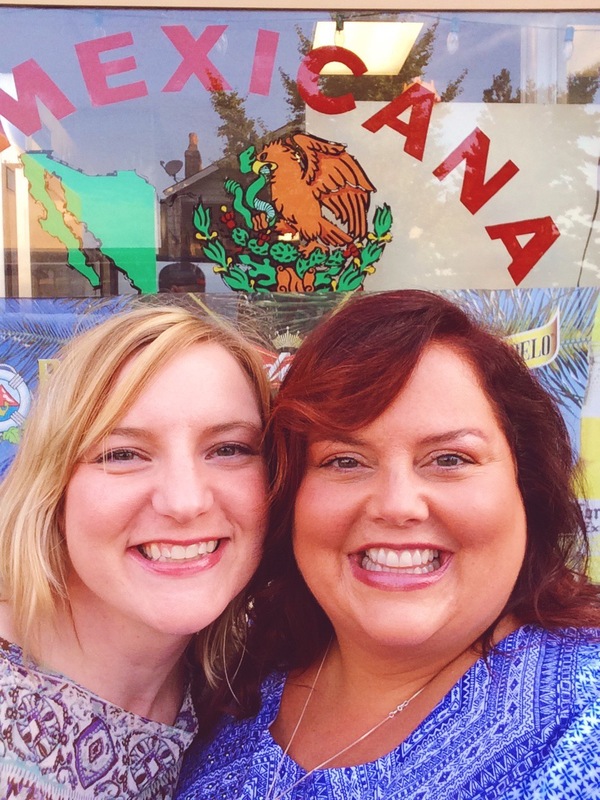 Giveaway: La Mexicana! You make your meals sound so tasty. I completely like the idea of meal sharing. 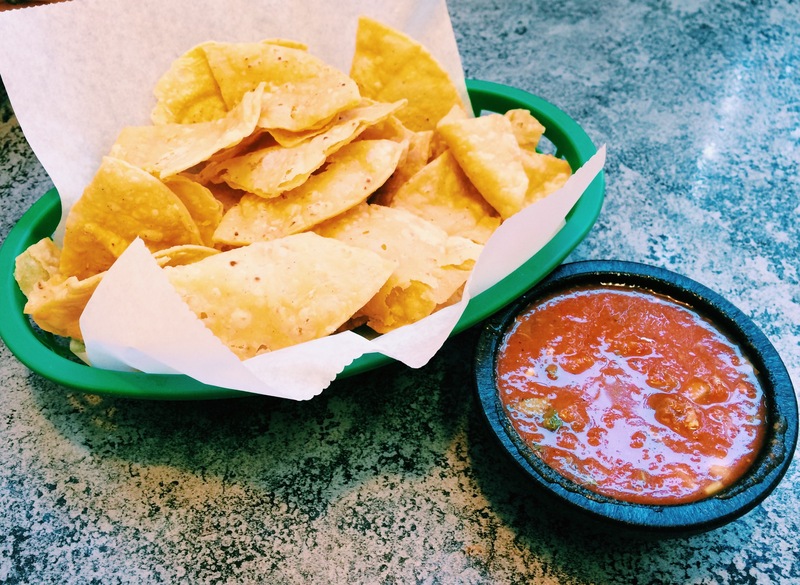 Those chips and salsa… So delicious. This restaurant is in my neck of the woods and I couldn’t agree more! Their food is 100% authentic and amazing! It truly is a diamond in the rough of Newport. Affordable and delicious!! !